The OABA leaders in the early 1970s saw the need for having a unified voice for the Outdoor Amusement industry in Washington, DC. They initiated the OABA-PAC and they, along with others, gave up to $1,000 each from their personal bank accounts to reach $100,000. When founding the OABA-PAC, it was their intent to use the interest funds generated on this amount to help political election campaigns for those legislators who listened to our advocacy issues. The Outdoor Amusement Business Association Political Action Committee (OABA-PAC) provides a voice for members in the national political process. Because OABA-PAC believes strongly in the mission and importance of our PAC, we encourage all businesses and individuals to participate with personal donations to this year’s “Back the PAC” Campaign. First, the OABA-PAC is important to OABA members because its sole purpose is to protect and promote our industry primarily on member advocacy issues in Washington, DC. Second, as an industry, it’s vital that we help keep federal lawmakers in office that recognize the economic value of the mobile amusement industry, especially when it comes to the H-2B visa program for seasonal guest workers. Besides, it’s good for America’s fairs and American jobs! 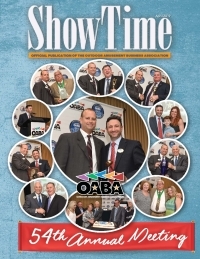 PLEASE NOTE: Contributions to the OABA-PAC are not tax deductible as charitable contributions. Under federal law, all contributors must be U.S. citizens. Contributions are voluntary and are limited to $5,000 annually. Cash contributions are limited to $100. Contributions are used to support federal candidates who have an interest in the mobile amusement industry. OABA-PAC may only accept personal or non-corporate contributions. OABA-PAC reports the name, home address and occupation of all donors who contribute over $200 in a calendar year of the Federal Election Committee. Want to send in your donation via Post? Download this Form.